Last week the biggest Russian gaming expo - Igromir 2013 - was held, and lots of different game developers visited Moscow and showed their upcoming titles. 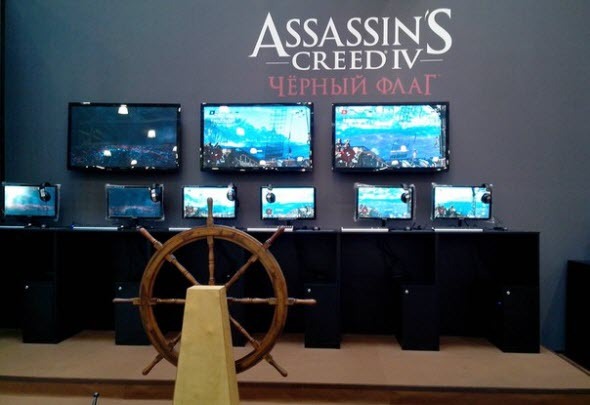 One of the greatest this year's booths was devoted to Assassin's Creed 4: Black Flag - the action-adventure from Ubisoft. Frankly speaking, Assassin's Creed 4 gameplay video is not so good, as we hoped. The game doesn't differ much in comparison with the previous instalment, and also artificial intelligence of non-playable characters leaves more to be desired. And what do you think about this video? Are you going to buy Assassin's Creed 4? Let us know in the comments below.